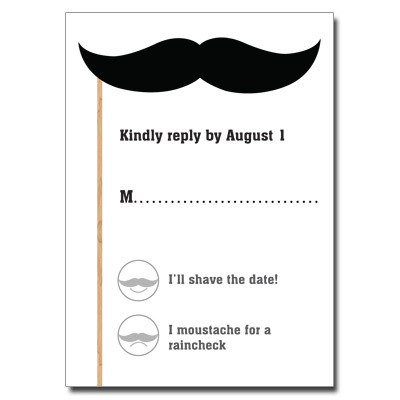 If you "moustache" your guests to celebrate with you, why not ask with our quirky moustache invitation? 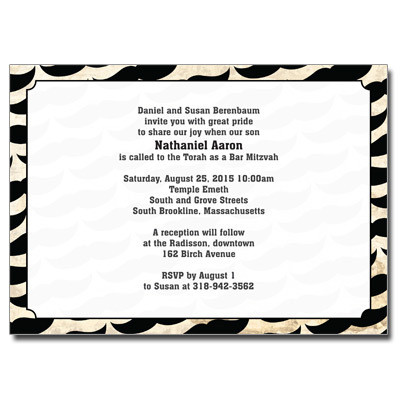 This Bar Mitzvah invitation design features a background of various black moustaches on an off white textured background. 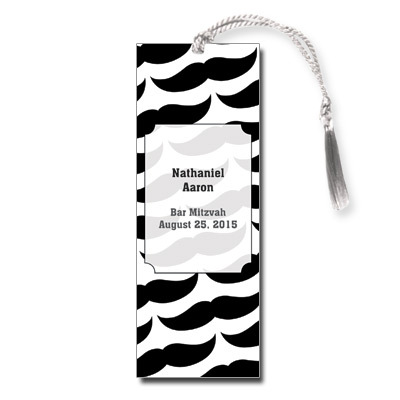 Your event information is printed in grey with your son's name printed in black on a white see through frame accented by scalloped corners. 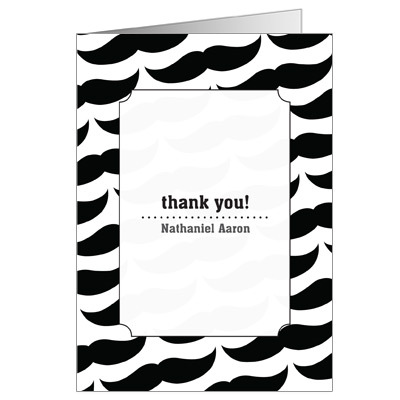 Card measures 7 x 5.